In Cognitive Surplus he writes about the ability to harness huge untapped human potential. For example, the average Westernized civilization’s tuned-out TV time represents a significant amount of lost “cognition”. If it were possible to recover just a small percentage of that wasted human capital in the pursuit of just about anything, tremendous things could happen. Given the emerging abilities of internet societies to both encourage and allow everyone to contribute, we might be at the start of a tremendous acceleration in human achievement (e.g. 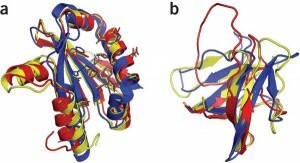 see how online gamers solve aids protein puzzle). This entry was posted in Small World and tagged Clay Shirky, cognitive surplus, human capital, human potential, Innovation, psychology, small world by Mike. Bookmark the permalink.